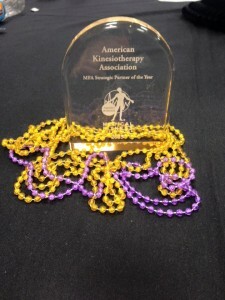 The 2015 AKTA National Conference was held at the Ernest N. Morial Convention Center in New Orleans, Louisiana,November 18-21, 2015. Once again the conference was held in conjunction with the Medical Fitness Association (MFA) conference. This joint effort provided an excellent opportunity for AKTA members to network with the many health and fitness professionals who actively support the MFA. This conference proved to be a rewarding experience for all who attended thanks to all of the AKTA sponsored speakers and volunteers. We all had the opportunity to learn valuable work related information from the inspirational keynote speakers, to test the latest fitness equipment and to network with KT’s and other medical fitness professionals. WOW! That’s a lot to accomplish in 4 days. The conference focused on exercise programming and performance enhancement for every person including those with chronic disease. If you were not able to attend, you missed an exceptional educational and social opportunity. Please make sure to save the date for this year’s conference in Orlando, FL November 16-19, 2016. 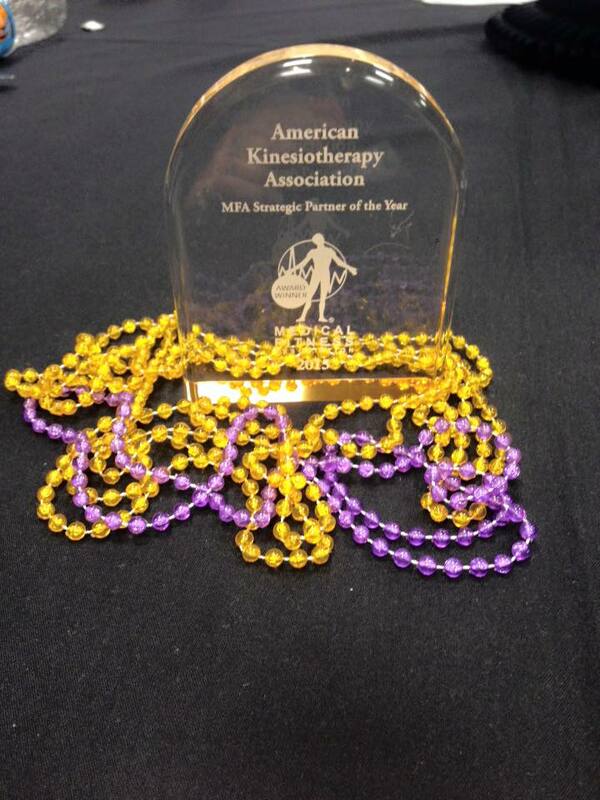 The AKTA was named the Medical Fitness Association Strategic Partner of the Year. Thank you MFA for all your support! Many thanks to all of the AKTA sponsored speakers and volunteers. From the educational component to the inspirational keynote speakers.